Wrongful Death - Hauer & Co.
British Columbia law puts the families of deadly accident victims at a severe disadvantage. 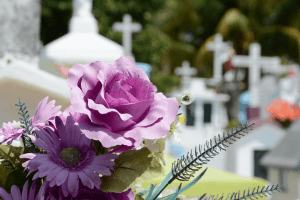 The Family Compensation Act (FCA), which oversees liability for wrongful death claims in the province, recognizes only a subset of compensable losses, normally those based on loss of income or support. The lawyers at Hauer and Company will act aggressively to protect the interests of those bereaved through motor vehicle accidents and general negligence, including medical negligence. To learn how your family can benefit from our legal advice and practical support please contact Hauer and Company. We will explain those aspects of your loss that will be recognized by the law, help you pursue your right to survivors’ benefits and life insurance, and help you deal with both the practical matters and emotional challenges that normally arise after an accidental death in the family. At Hauer and Co. we will do our best to help you recover the greatest compensation possible under the law. We believe in supporting damages claims based on close attention to detail towards the proof of loss of such elements as income, household services, care and support for children, and inheritance. Periodically new legislative proposals expand the losses compensable under the FCA in British Columbia. It is possible at some point in the future such damages as emotional suffering, bereavement of companionship or loss of good counsel are recognized under the law. Many provinces have already reformed their wrongful death laws to compensate these types of losses, and it is conceivable British Columbia might follow their example.